Each Sectional Tournament is conducted by a local sponsor who provides the facilities and personnel as a service to the teams and individuals who participate. Sectionals are registered matches and guidelines for registered matches will be followed. Teams and individuals may fire in multiple Intercollegiate Sectionals of each type per year (Air Pistol, Free Pistol, Standard Pistol, Women’s Air Pistol, and Women's Sport Pistol). A competitor may fire either on a varsity or club team or on an ROTC team. A National Bulletin that lists every score fired in an Intercollegiate Sectional will be available to each competitor. Every eligible team is encouraged to take part in the Sectionals as they are an excellent training field for beginning teams and a proving ground for experienced ones. Tournaments. The tournament host provides the range facilities, personnel, and targets. All fired targets must be retained until the challenge period for the Final Results Bulletin has ended, which is two weeks after the bulletin has been posted. Only a single team from an institution may represent that institution. ROTC Teams must declare before the qualifying Sectional whether they are attempting to qualify for either the National Open Collegiate Pistol Championship or the National ROTC Championship. Eligibility: NRA Rule 2.8 applies in that Intercollegiate Sectional matches are open to individuals and teams whose members represent any one college, junior college or university, provided each member is eligible for participation in intercollegiate competition under the rules of the institution. graduate student may compete (and complete their four years of eligibility) in their first year of graduate school. No student may compete in the Intercollegiate Sectional Program for more than four separate calendar years. Students enrolled at any of the United States Service Academies may not compete in the ROTC category in this program. in an accredited two or four-year collegiate level institution and who have not received a Bachelor’s Degree. Eligibility to compete as a collegian shall extend for a maximum of four years within a five-year period beginning when a student first attends any class as a full-time (12 or more credit hours) student. The five-year period may only be interrupted by extended military service. (60 consecutive days or more), service with a recognized foreign aid agency of the U.S. Government or certified missionary service. In order for scores from a Sectional to be recognized for NRA Sectional Awards there must be teams and individuals entered in the Sectional concerned from at least two eligible institutions. 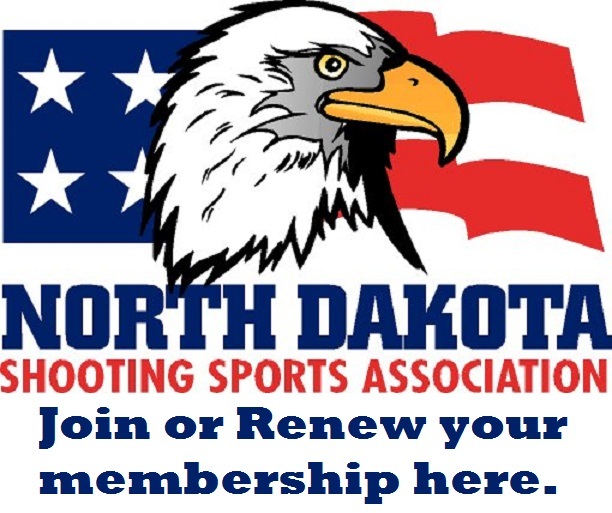 The NRA must receive completed sectional paperwork, and scorecards by Thursday, February 16th. Please do not wait to submit your scorecards. SUBMIT YOUR SCORECARDS IMMEDIATELY AFTER THE SECTIONAL ENDS. Intercollegiate Sectional scorecards received after the 16th will be ineligible for Championship qualification. Please submit completed scorecards in a timely fashion. Please submit payment as soon as possible, if it does not accompany the scores. Please note: it is the responsibility of each competitor to make sure that their scorecard/s are legible and complete. Illegible and incomplete scorecards will be ENTERED LAST, IF AT ALL. Entry Closing Date: All entries should be made two weeks prior to the Sectional that competitors elect to enter. If range space is available, post entries may be accepted by the tournament sponsor. Equipment: All equipment used in these matches must be in accordance with NRA Int'l Pistol Rules. Please note: in 2017, specialized shooting shoes may be worn. Coaching: No coaching on the firing line is allowed. Rule 9.10 & 12.2. Ties: Ties will be broken by the method prescribed in Section 15 of the NRA Int'l Pistol Rules for NRA Sectionals awards and ranking for national bulletin (Air and Free Pistol - 15.3, 15.7(a), Standard Pistol and Women's Sport Pistol - 15.4, 15.7(b)). Please be familiar with these rules. Souvenir: To each firing competitor, team, team captain, and match staff in the Sectional Tournaments, souvenir pins will be awarded to recognize their participation in the NRA Intercollegiate Sectional Championships. National Sectional Bulletin: Official Collegiate Results Bulletin will be available online as soon as scores are compiled. The bulletin will list all scores fired in the 2017 NRA Intercollegiate Sectionals. There will be a separate listing of the All-American Teams, results of the NCAA Rifle Championships, the NRA Intercollegiate Rifle Club Championships, the NRA Intercollegiate Pistol Championships and the ACUI Clay target Championships. The ranking of the national scores will become final two weeks after the posting of the official bulletin. All challenges and protests regarding the findings in the official bulletin must be filed with the National Rifle Association before the two weeks have elapsed. Entry Fee: $10.00 per competitor. Course of Fire: Free Pistol Course (Rule 7.4), 60 shots standing. Sighting Shots: (Rule 10.14(d).) Unlimited sighting shots may be fired. Time: Rule 10.14(c) will apply. Time limit is a minimum of 1 1/2 minutes per shot. Total allowable shooting time, including sighting shots, is 2 hours. Pistol: Free Pistol, .22 caliber (Rule 3.6). Entry Fee: $12.00 per team. Course of Fire: (1) An aggregate comprised of scores fired by team members in Match No. 1, or (2) A separately fired team score. If any of the team members have fired as individuals, then the team score must consist of those individual scores from match No. 1. If the team members do not wish to fire individual scores, then a separately fired team score will count. Team members must be designated before the individual match commences. Course of Fire: Standard Pistol Course (Rule 7.3); 3 courses of 20 shots each. Each course consists of four 5-shot series. 1. 4x5 shots in 150 seconds per 5-shot series. 2. 4x5 shots in 20 seconds per 5-shot series. 3. 4x5 shots in 10 seconds per 5-shot series. 5 sighting shots may be fired within a time limit of 150 seconds. Rule 10.13(b). Targets: Official NRA 50 foot B-33 targets will be used. Pistol: Standard Pistols with the long barrels can be fired in competition at the Sectionals. National Records may not be established using the long barrel. All Standard Pistols used at the NRA's Intercollegiate Pistol Championships must comply with Rule 3.5. Course of Fire: (1) An aggregate comprised of scores fired by team members in Match No. 3 or (2) A separately fired team score. If any of the team members have fired as individuals, then the team score must consist of those individuals' scores from Match No. 3. If the team members do not wish to fire in individual scores, then a separately fired team score will count. Team members must be designated before the individual match commences. Course of Fire: Air Pistol Course (Rule 7.5), 60 shots standing. Time: Total time allowed will be 1 hour and 45 minutes including sighters. (Rules 7.6, 10.10 and 14.3.3) Only one shot per bullseye. Pistols: Air Pistol, .177 caliber (Rule 3.7). Course of Fire: (1) An aggregate comprised of scores fired by team members in Match No. 5, or (2) A separately fired team score. If any of the team members have fired as individuals, then the team score must consist of those individuals' scores from Match No. 5. If the team members do not wish to fire individual scores, then a separately fired team score will count. Team members must be designated before the individual match commences. Precision Course: 6 series of 5 shots in 6 minutes. Rapid Fire Course: 6 series of 5 shots in 3 seconds with a 7 second pause. This means: The precision Course will be preceded by a 5 shot series of sighting shots, fired within the Precision time, fired on the B-33 target. The Rapid Fire Course will be preceded by a 5 shot series of sighting shots fired within the Rapid Fire time. Each shot to be fired within a 3 second exposure of the target with each exposure being spaced 7 seconds apart, fired on the B-39 target. Sighting Shots: A maximum of 5 sighting shots are allowed within 6 minutes, (Rule 7.2 & 10.12(a)4, (b)4. Targets: Official NRA 50 feet B-33 targets will be used for Precision Course and B-39 targets will be used for Rapid Fire Course. Pistol: Same as Standard Pistol. See section C for details. H. Sectional Match No. 8 - Women's Sport Pistol Team - Competitors must be women only Open to: Teams of three firing members and a team captain. (Captain may be a firing member) See Eligibility. Course of Fire: (1) An aggregate comprised of scores fired by team members in Match No. 7, or (2) A separately fired team score. If any of the team members have fired as individuals, then the team score must consist of those individuals’ scores from Match No. 7. If the team members do not wish to fire individual scores, then a separately fired team score will count. Team members must be designated before the individual match commences. Course of Fire: Air Pistol Course (Rule 7.5), 40 shots standing. Sighting Shots: Unlimited sighting shots are allowed. All sighting shots must be fired before the first record shot. (Rule 10.15 (c). Time: Total time allowed for competition will be 1 hour and 15 minutes. Course of Fire: (1) An aggregate comprised of scores fired by team members in Match No. 9, or (2) A separately fired team score. If any of the team members have fired as individuals, then the team score must consist of those individuals’ scores from Match No. 9. If the team members do not wish to fire individual scores, then a separately fired team score will count. Team members must be designated before the individual match commences. NEW! Collegiate men are invited to take the line with the ladies for 40 shot Air Pistol and Sport Pistol. These will be “Official Side Matches” for both the Sectionals and the Nationals. The top men that participate in the Sectional Side Matches will be invited to participate in the Nationals Side Matches. Awards will be given at the Nationals only. Fired in the same format as Match No. 9, alongside the ladies, or separately. No teams. Entry Fee: $5.00 per competitor. Fired in the same format as Match No. 7, alongside the ladies, or separately. No teams. The following awards will be provided by the NRA. The sponsoring organization may provide additional awards. 7 or more competitors enter. The third highest scoring competitor will receive a Bronze Sectional Medallion if 10 or more competitors enter. The high ROTC individual in Free, Standard and Air Pistol will receive a medal, providing there are at least 2 individuals in each category. Sectional Team Awards: The high scoring team at each Sectional Tournament will receive commemorative tankards provided there are 2 or more teams competing.